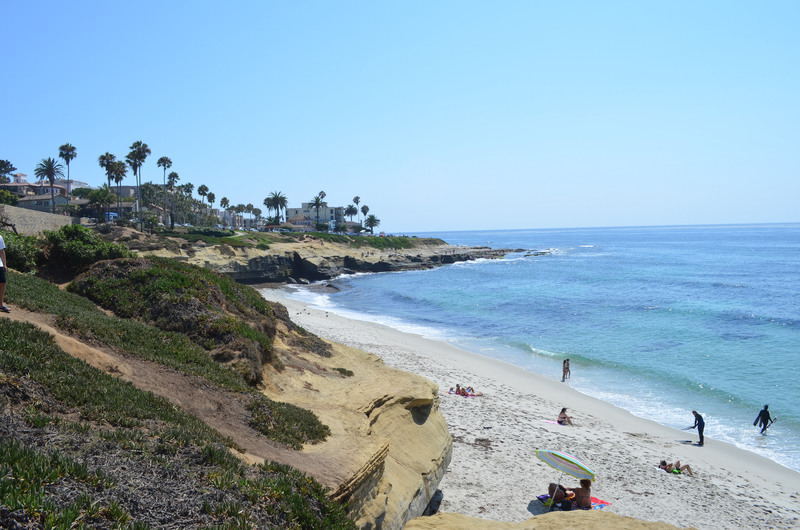 June 21st was the official first day of summer and with that came the promise of standard summertime activities: picnics, pool parties, bike rides, and weekend getaways. 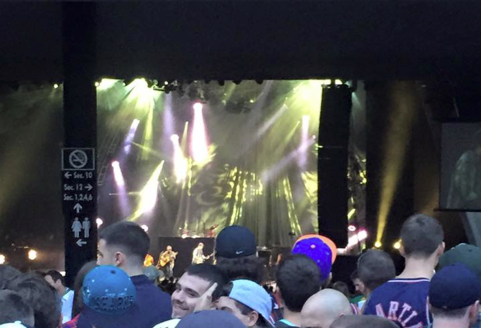 The summer months have also become synonymous with concert season in upstate New York. For my friends and I, nothing screams summer more than the Dave Matthews Band. For the past several years we have all ventured to Saratoga Springs, NY, for a two-day set featuring our favorite band at the Saratoga Performing Arts Center (SPAC). Along with the concert comes the whole experience: the road trip, the time spent with great people and, of course, the camping. 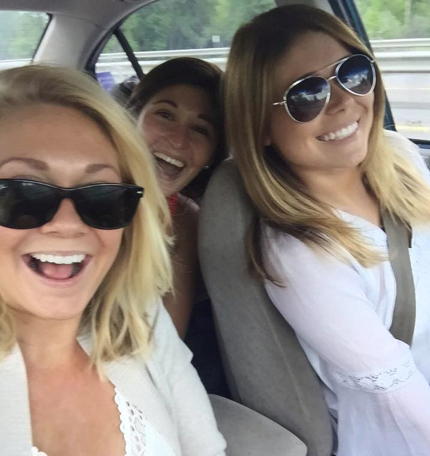 It’s always a struggle to fit everything into the car (and to make sure we aren’t forgetting anything crucial) but once we hit the road, it’s all smiles. Every year we stay at Lee’s Park right on Saratoga Lake and enjoy little sleep, a lot bug spray, and very temperamental weather. But a little rain and a few mosquito bites never hurt anybody, right? 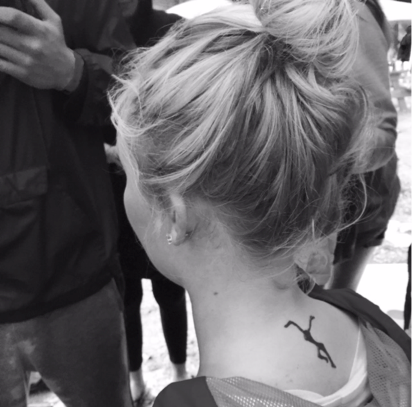 This year we had some fun with henna during the rain and the shine. The concerts took place on the 3rd and 4th of July this year, making the holiday weekend more exciting and eventful for us. 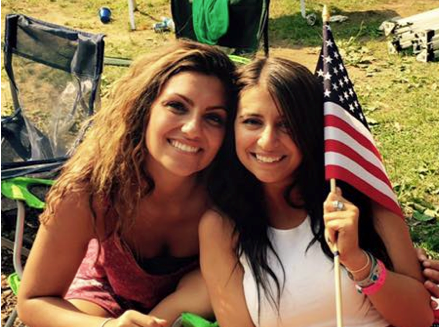 There were even more American flags and hot dogs at the campgrounds than usual, and I had the pleasure of seeing my friends decked out in red, white and blue. And we can’t forget the entire reason we make this yearly four hour journey: the two amazing shows. Dave Matthews, once again, surpassed our expectations and put on a great concert at one of the best venues. 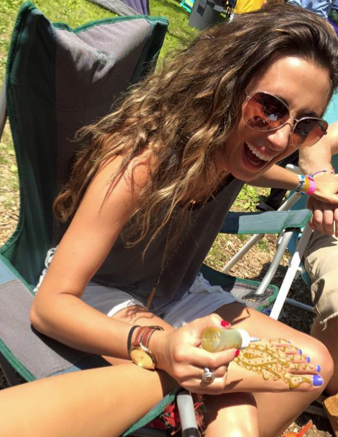 I’ve made some of my favorites memories from these summertime, music-filled excursions. 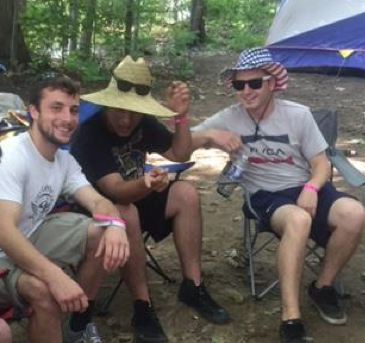 However, as much fun as it is, every year my friends and I joke about the “post-SPAC depression” we experience following the concerts as we head back into our daily routines. But why should the weekend memories have to fade once we settle back into work on Monday morning? 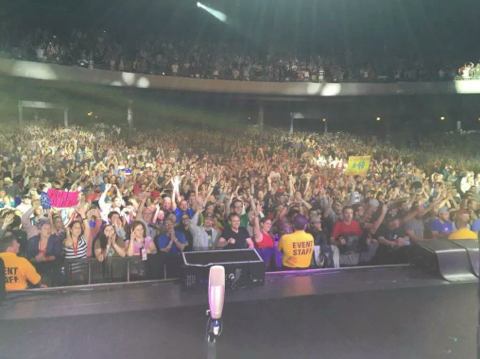 This year, I decided to use the My Kodak Moments app to ensure that I could bring a little bit of the concert season fun back to the office with me. 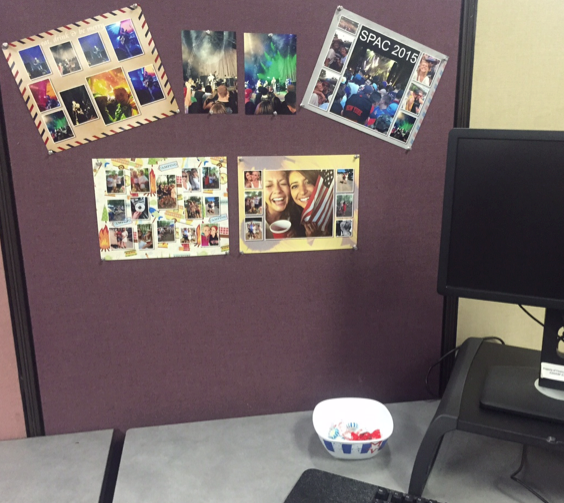 When I arrived back to work I couldn’t wait to use the Kiosk to print out my pictures. I decided to make a few simple prints, but was really excited about the collage options. Millennials tend to get a bit “photo-happy,” and I’m no exception, so I had many different pictures from the holiday weekend. The available collage templates allowed me more freedom when picking photos, instead of having to be so selective when printing. Even better than these collages, though, were the awesome photo books I created quickly and easily from the Kiosk. I was able to fit all of my favorite camping and concert images in different size photo books and bind them into keepsakes I adore. Finally, I decided to explore the poster options on the Kiosk. For anyone that frequents at concerts, you know how expensive posters at the venue can be. 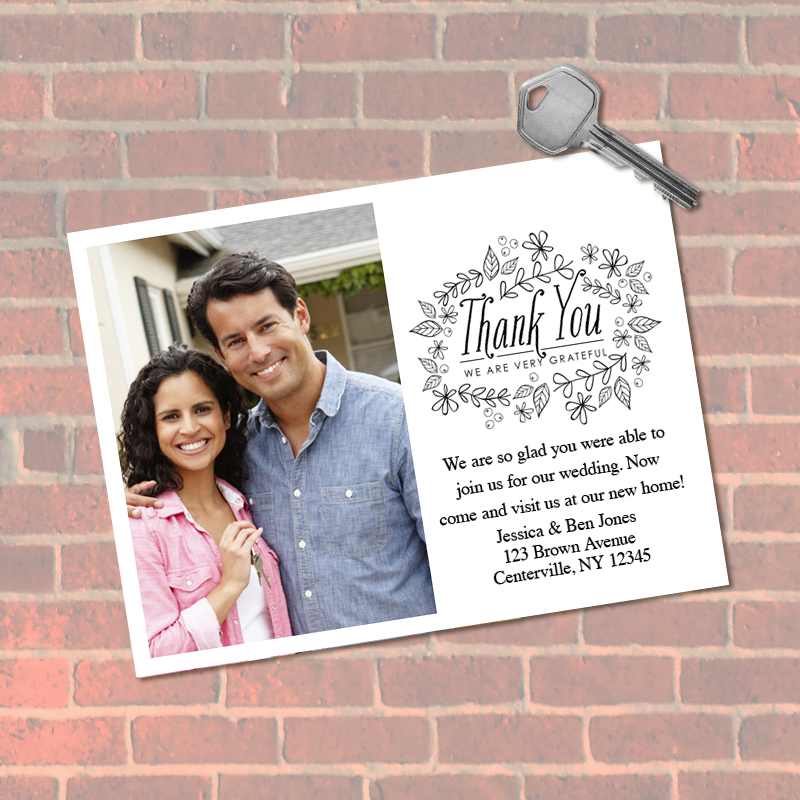 If you’re looking to save some money, or make a more personal poster, Kodak Picture Kiosks provide a great alternative. I got a bit sentimental when poster-making. I’m a firm believer that meaningful presents are the best gifts, so when I remembered that my best friend’s birthday was approaching, I decided to create a poster size collage for her so she could remember our amazing SPAC memories too. No surprise here—she loved it. 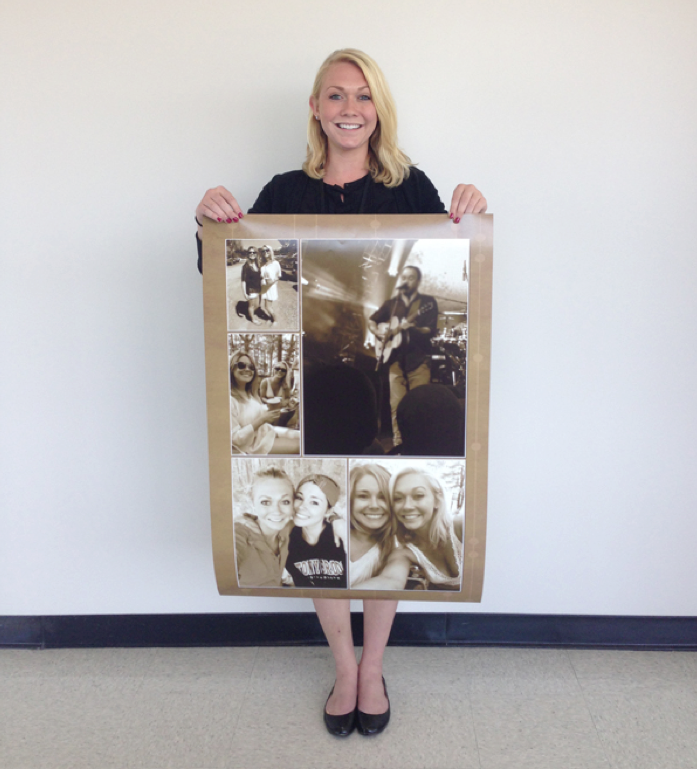 I’m so happy that I was able to capture the memories from the concert and bring them back to the office with me. 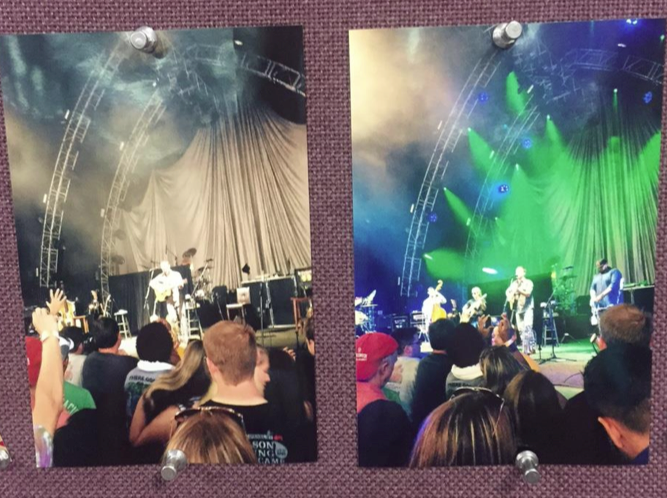 These prints were a simple way to bring some sunshine into my cubicle and remember an amazing weekend with friends. You can download the My Kodak Moments app for iOS or Android here. 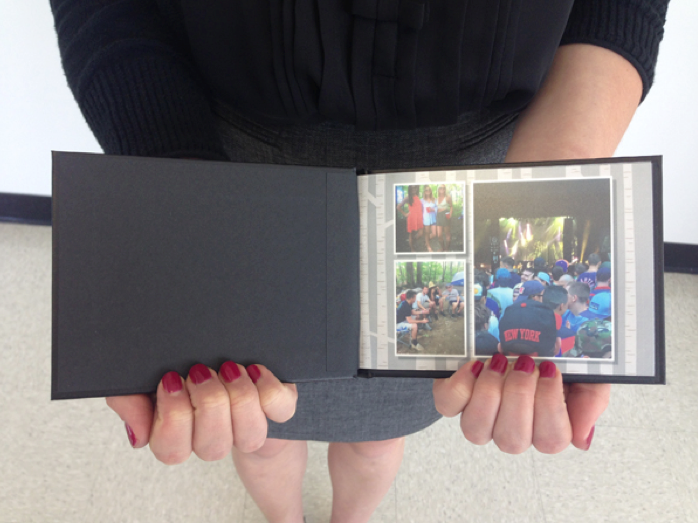 Make your spring break last longer – with photo books! I don’t know how your winter went but here in Rochester, NY, February was the coldest month in history. 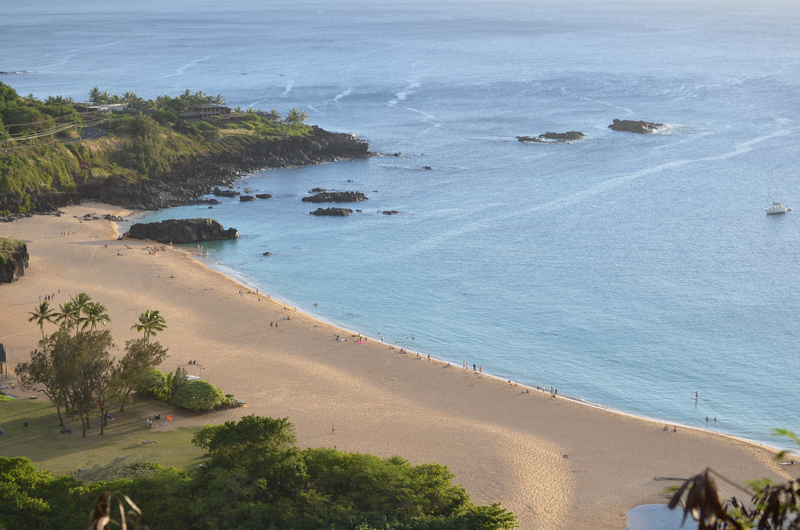 We started hanging photos of warm travel destinations in our office to help get us through. I printed out quite a few photos of my favorite beach destinations. Each one brought back warm memories. Unfortunately, I don’t have a spring break planned this year but looking at these photos have been a nice pick-me-up. 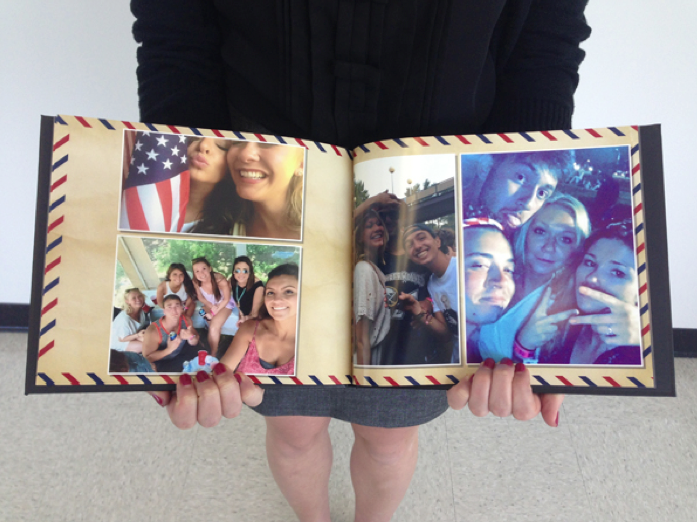 Photo books are a great way to relive a vacation or spring break trip. If you want that happy vacation feeling to last a little longer, flipping through a photo book of the best moments can help. 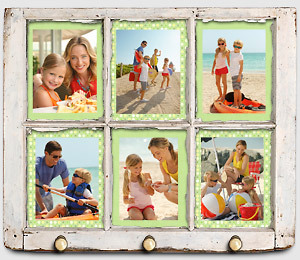 And now Kodak Picture Kiosk has new photo book background designs available – just in time for those spring break photo books. Find a Kiosk near you to get started! 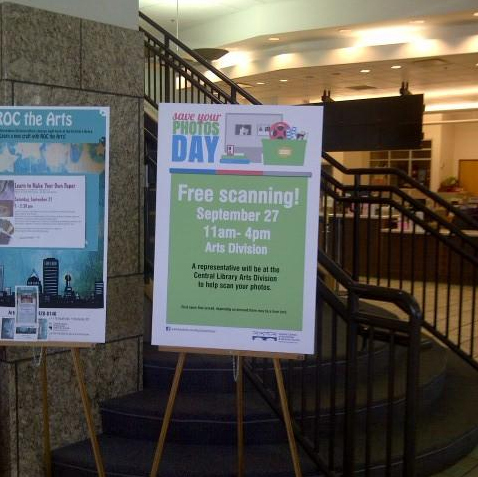 September 27 was Save Your Photos Day, an international event created to educate the public about the importance of safeguarding and archiving photos. Every year there are over 550 natural disasters around the world and photos are among the most valuable possessions lost. There were over 60 events planned across the US for attendees to scan photos for safe keeping. One of the largest events was held in Joplin, Missouri. Devastated by a tornado in 2011, the Joplin community came together to prevent the kind of loss of photos and documents that people experienced a few years ago from happening again. About 500 attendees scanned more than 35,000 photos at the Joplin event alone. A team of volunteers helped participants use the KODAK Picture Saver Scanning System PS50, which was donated by Kodak Alaris and E-Z Photo Scan, including a computer, flatbed scanner, software and accessories. In Rochester, NY at the Public Library, volunteers used the Kodak Picture Saver Scanning System PS50 to input more than 10,000 photos over a five-hour span, said Nancy Sherman, business development manager with Kodak Alaris. You don’t have to wait for a special day to save your photos however. 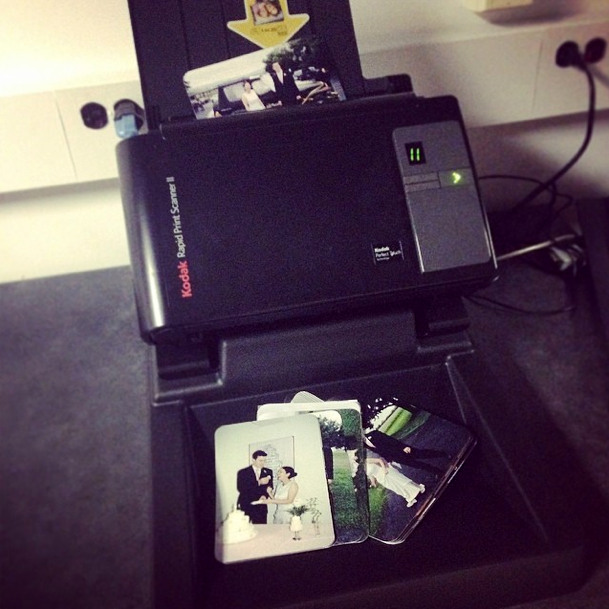 You can find Kodak Picture Kiosks equipped with Rapid Print Scanners that you can use to scan you photos in at any time of the year. Find a kiosk near you with a scanner use this locator tool. With summer winding down, it’s time to get on the ball for Fall sports action. Whether you have a cheerleader, a linebacker, a goalie or another kind of athlete to take pictures of, we have plenty of projects and idea starters so you can remember every play. We make it quick and easy with a variety of convenient options. 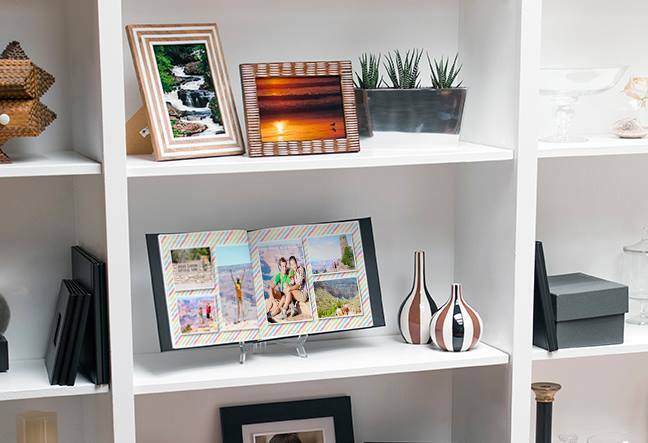 Walk into a store and use the KODAK Picture Kiosk or try the KODAK MOMENTS Apps on your smartphone or tablet wherever you are, to order prints or make a photo book which you can pick up on your way home from work or have delivered right to your house. Keep track of the season’s highlights with a simple photo book you make right from your mobile phone. This also makes a great gift for the coach at the end of the season. Feeling nostalgic as the season comes to an end? How about creating a look back photo book that tracks your athlete’s progress over the years? Collect pictures from past seasons and combine with this year’s winning moments for a great photo book. Planning an end-of-the-season party? 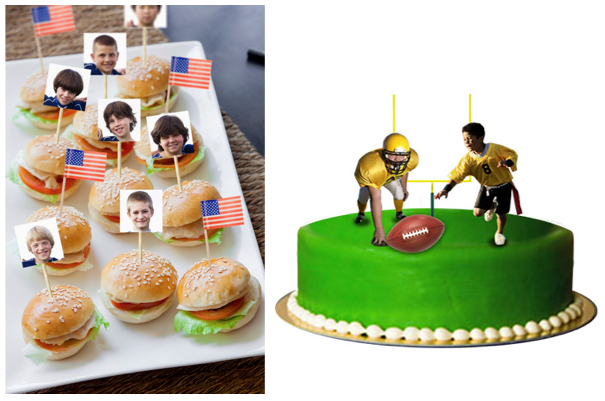 Check out these winning sporty party food ideas. 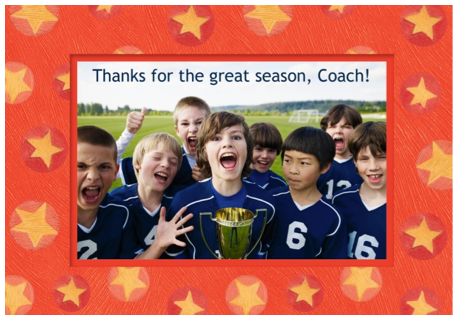 A great way to thank the coach and team volunteers is with a personalized thank you card from the team. 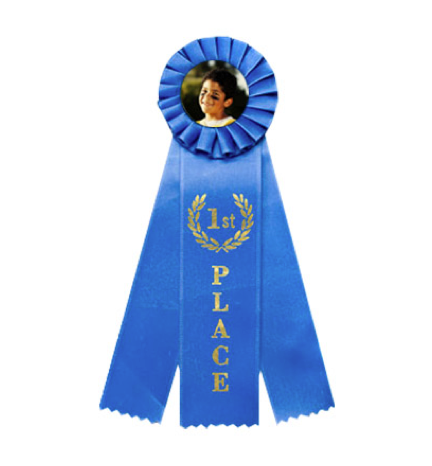 With all those first place ribbons, it’s hard to keep track of what they are for! Try attaching a photo from the winning game to keep the memory fresh. This is just a start—check out these and other great sporty projects and ideas on our Tips & Projects Center. Like many other people I was married in June. Why is June a popular month for weddings? One website says it’s because according to the Celtic calendar, couples started courting on Cross-Quarter Day of Beltane and were supposed to get married on the next Cross-Quarter Day, August 1. Turns out they couldn’t wait and would get married in June. Other website theories are 1- because it honors Juno, the Roman goddess of marriage, 2 – because the soon-to-be pregnant wife could still help during harvest and a child would be born in the spring, 3 – due to the fact May was “bath month”. For whatever reason it was the tradition stuck and I have been seeing #ThrowbackThursday photos of friends’ weddings all month. This year was my tenth anniversary. I really wanted to post photos of my wedding to Facebook and Instagram but realized my pictures were all on film and I hadn’t had many of them scanned since then. I knew just what to do. 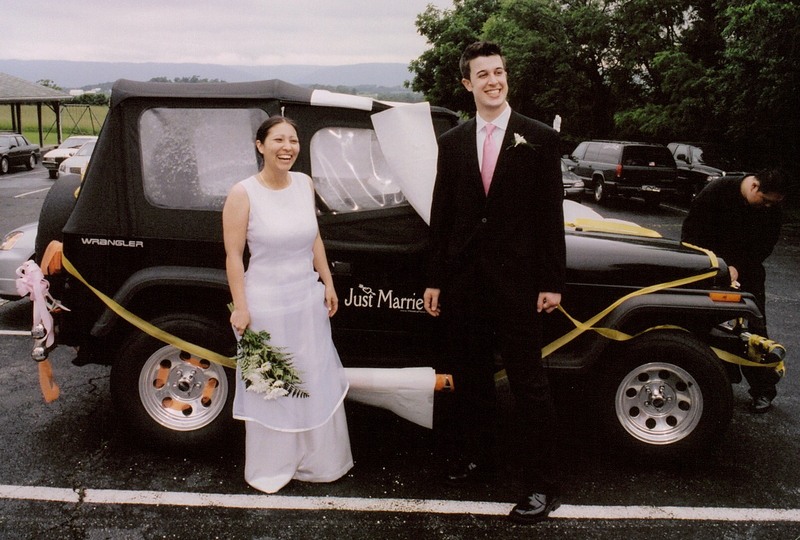 I went to the Kodak Picture Kiosk in our office and used the Kodak Rapid Print Scanner to scan in prints that I took out of our wedding album. After I scanned in my photos I was able to save them to a CD using Kodak Picture Kiosk. Now I had them in a digital format so I could post them to Facebook, Instagram and Twitter. While I had them on the Kiosk I could have also made extra prints, cards, calendars and more. This is a great thing to be aware of if you like doing projects with photos. I have nearly fainted in the past when discovering someone has cut up an original 20 to 50 year old photo for scrapbooking, crafting or displaying. Especially if you do not have the negative DON’T CUT UP YOUR OLD PHOTOS! 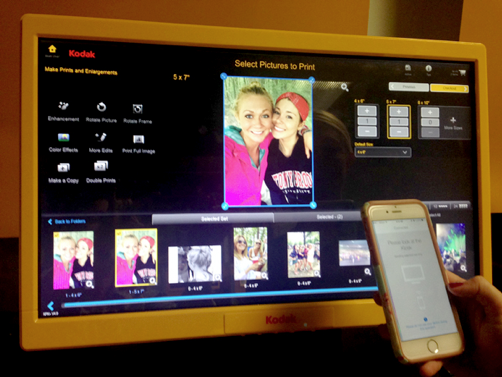 Visit a Kodak Picture Kiosk and make copies! Here are some of my favorite photo projects for weddings, showers, honeymoons and anniversaries that you can use those special photos for! Carry people who mean a lot to you down the aisle in the form of photos attached to your bouquet or boutonnière. Mini-prints on the Kiosk work well for this! 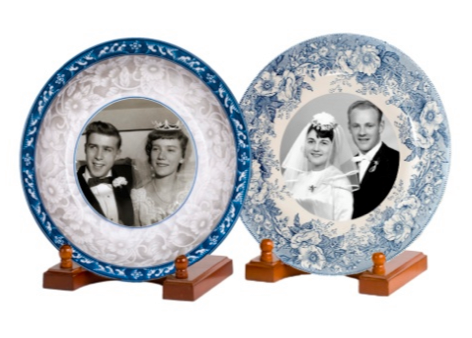 Display old family wedding photos on vintage plates at an anniversary party or wedding reception. 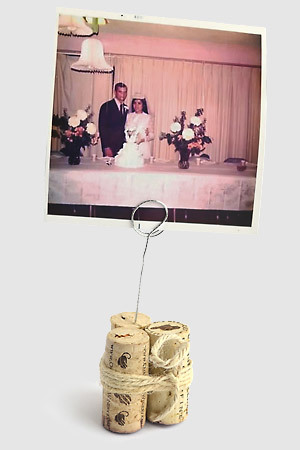 You can craft these photo holders from corks. 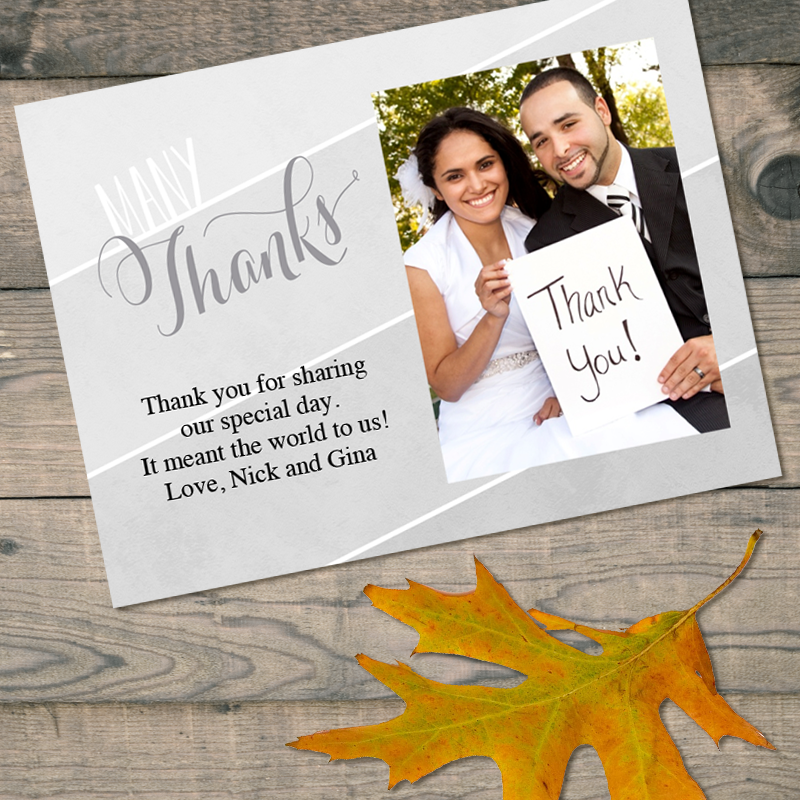 Display photos at each table or make them as favors. 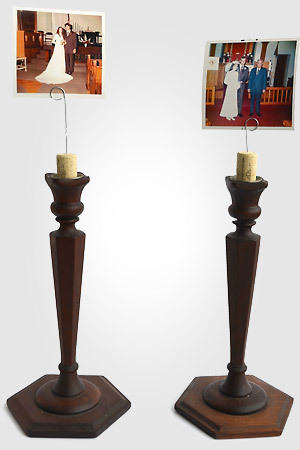 The corks also fit in candlesticks! 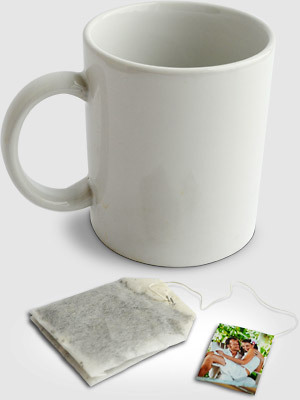 Photos attached to tea bags make cute favors for showers or receptions. 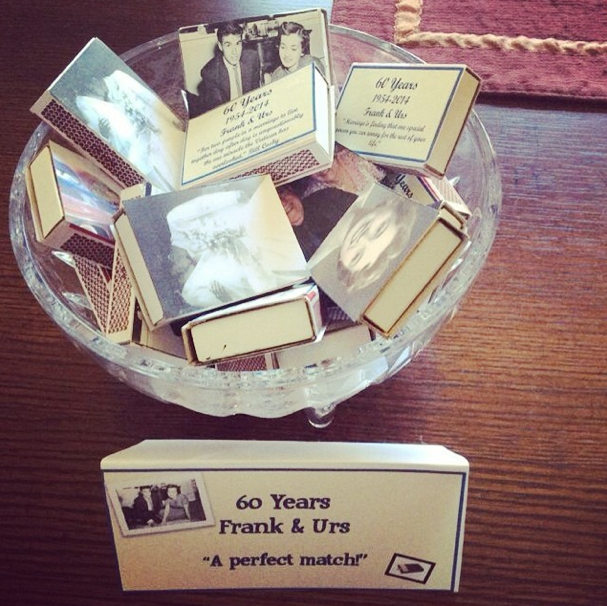 A co-worker did this for her parent’s 60th anniversary party! 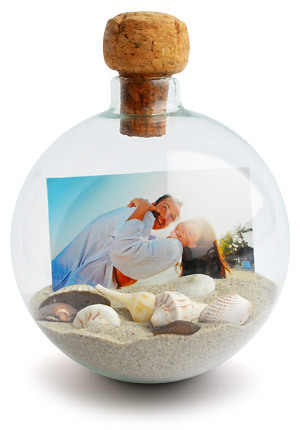 Remember your honeymoon with photo projects too… like this “sand globe”. 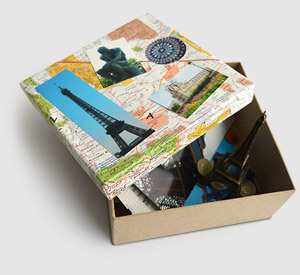 Or a scrap box to hold photos and other honeymoon mementos like tickets, shells, and other trinkets. There are many more ideas at Kodak Tips and Projects Center. 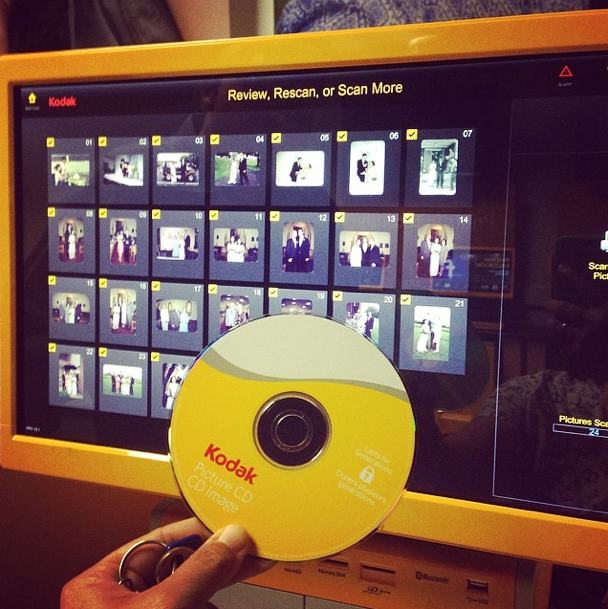 Find a Kodak Picture Kiosk near you to get started. You can also print photos on your phone using the My Kodak Moments App. Here are some great photo apps that are Kodak Alaris partners that can also help make your wedding unique. Send 8mm film or VHS tapes to iMemories and get back a video to play at your party or reception. 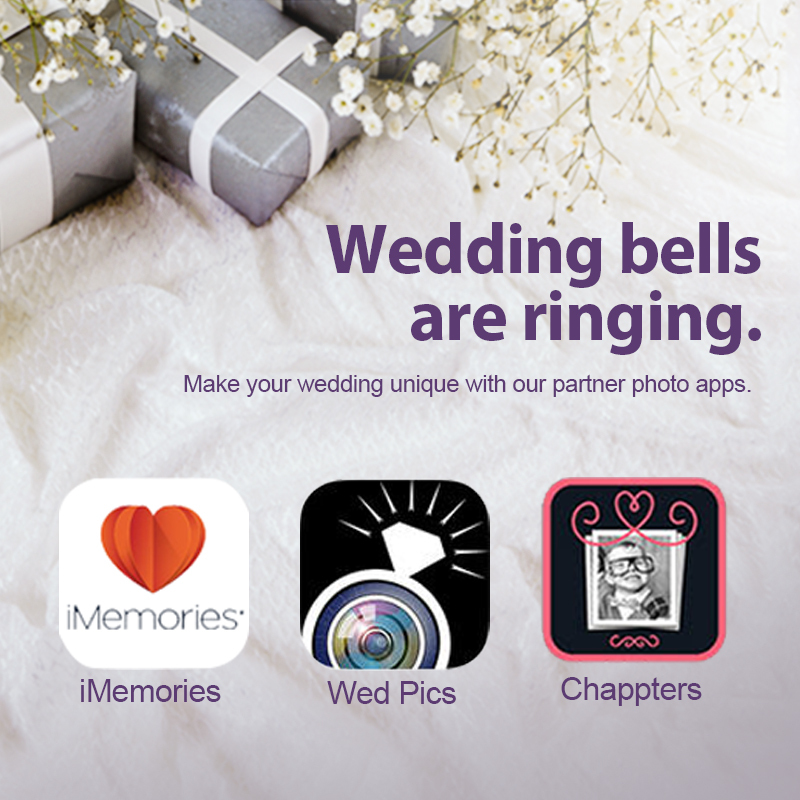 Have wedding guests share with you the candid pics they shot during your special day using WedPics app. 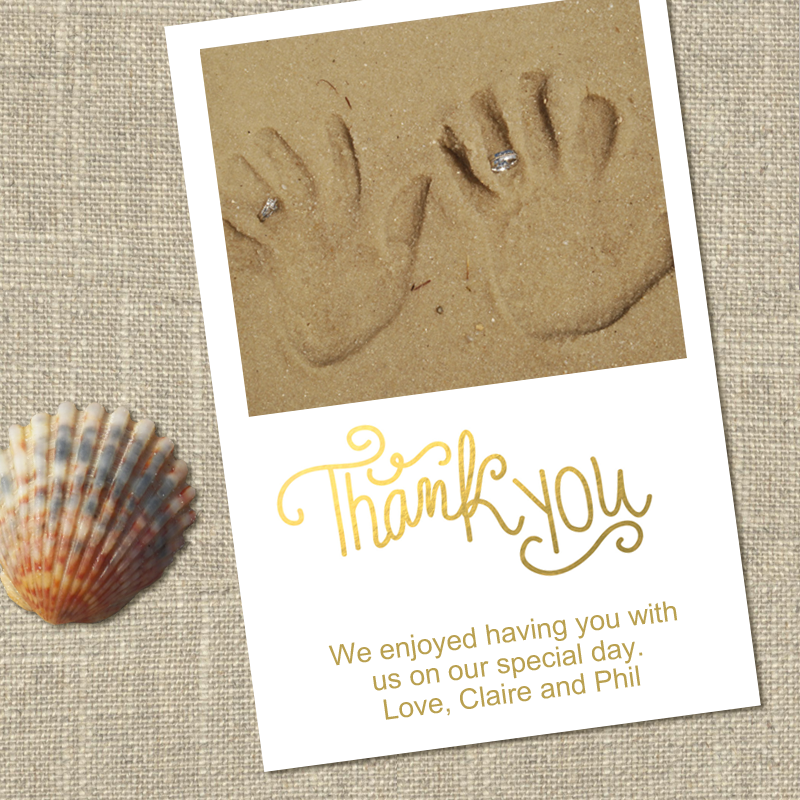 Personalize your photos with elegant designs and make cards with Chappters iPhone app. Don’t forget, when it comes to photography and weddings you always want to hire a professional photographer so you know that all those special moments will be captured. You won’t regret it years later. 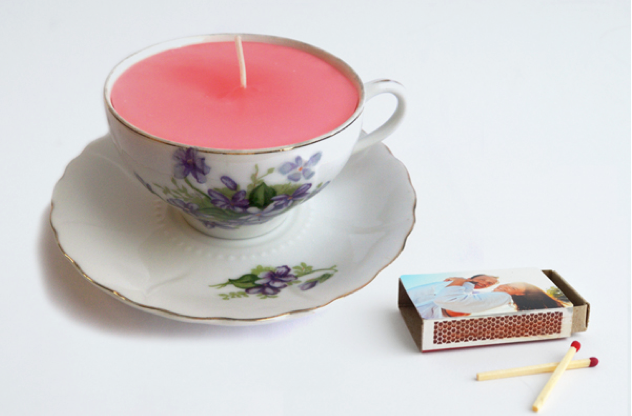 Brighten up your home (and mood) with photos! 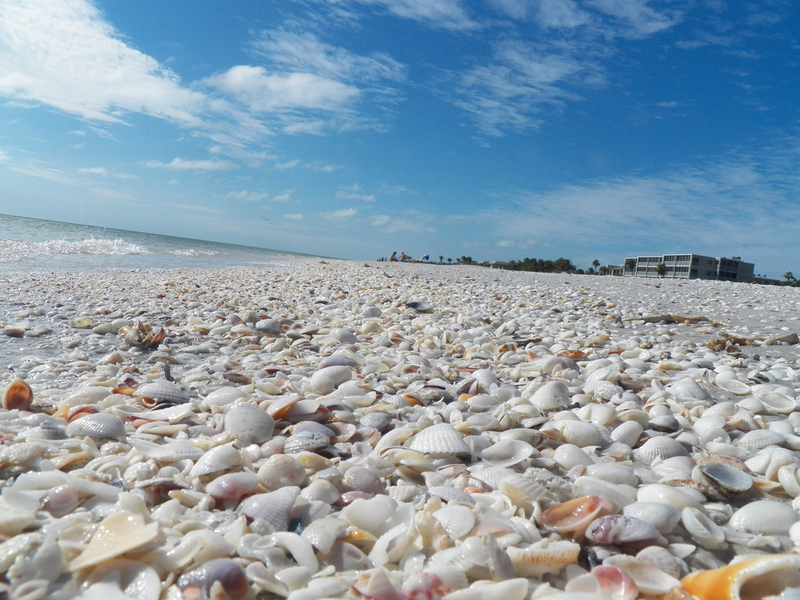 This time of year you might start to feel some twinges of spring fever. You might feel like doing some spring cleaning or changing up your home decor. Decorating with photos is an easy and beautiful way to refesh your home. 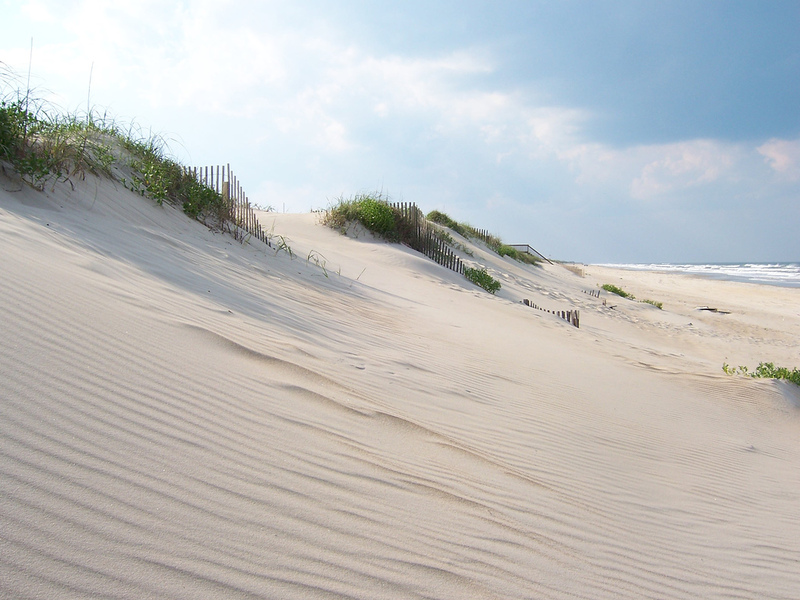 Turns out, some experts say that looking at photos can have a positive effect. Woman’s Day recommends that you put photos on the fridge to improve your mood in five minutes. They point out that we look at our refigerator 27 times a day, so it’s a good opportunity to look at something that makes you happy. “Research shows that the happiest people have many joyful family photos displayed in their homes,” says Caroline Adams Miller, coauthor of Creating Your Best Life. 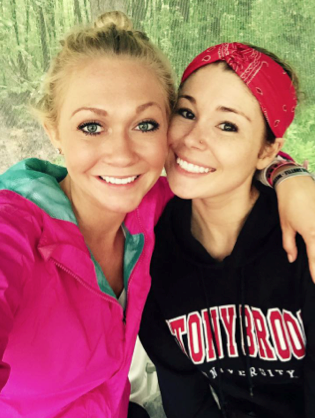 This Yahoo article “How to Cheer Up: 5 Proven Mood-Enhancing Things to Do Right Now” also recommends photos as a way to feel better. UK’s The Open University showed in a study that looking at your personal photos is a better mood enhancer than other traditional activities like eating chocolate, drinking wine or listening to music. They suggest keeping photos in plain sight and occasionally switching them up is a great way to improve your mood. Considering that looking at photos can make you feel better, displaying more photos around your home seems like a good idea. There are lots of creative ways to use photos in our home decor projects featured in the Kodak Tips and Projects Center. Photo window frame – Have you ever seen an old window frame sitting out by the curb? Grab it next time and make this cool photo window. 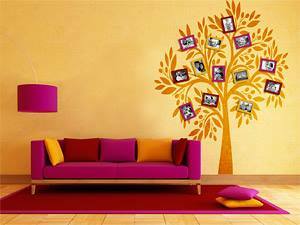 Family tree mural with photos – show off your family with this life size family tree. 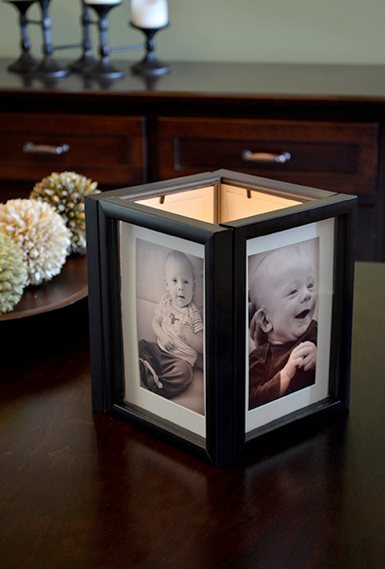 Glowing photo frame – Warm up your home with this easy to make backlight frame. 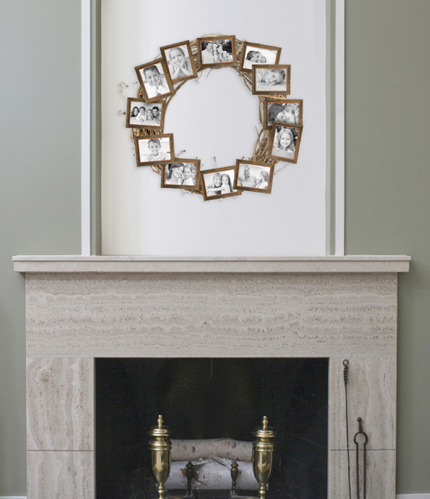 Photo wreath – striking compliment to your mantlescape! 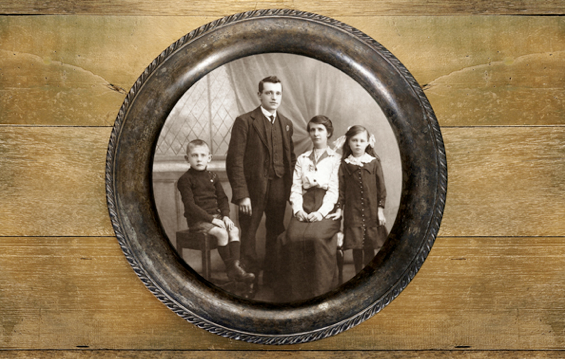 Photo dishware – perfect for your old family photos. Make copies at a Kodak Picture Kiosk so you don’t ruin the originals. Oh and for your fridge? 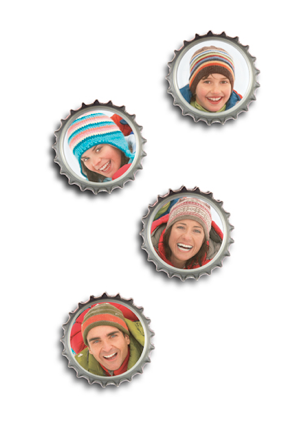 Check out these photo magnets made from upcycled bottle caps! The DIY steps for all these photo projects are available in the home decor section of the Kodak Tips and Projects Center. 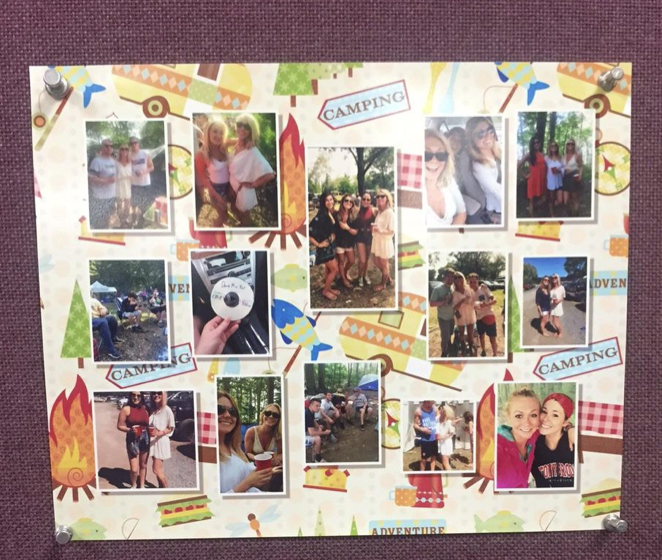 Find a Kodak Picture Kiosk near you to print all your photos for these ideas.